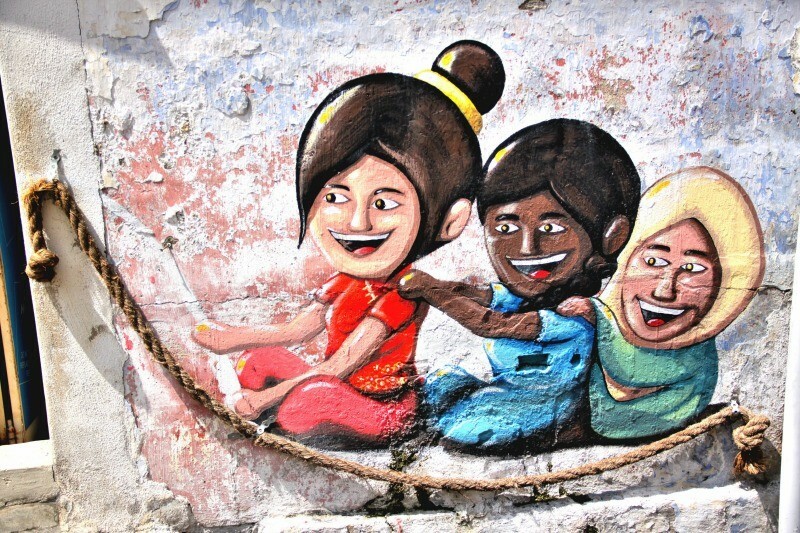 The street art of Asia is playful, creative, and fun. This is the fifth and final in the collaborative series of Street Art Around the World. 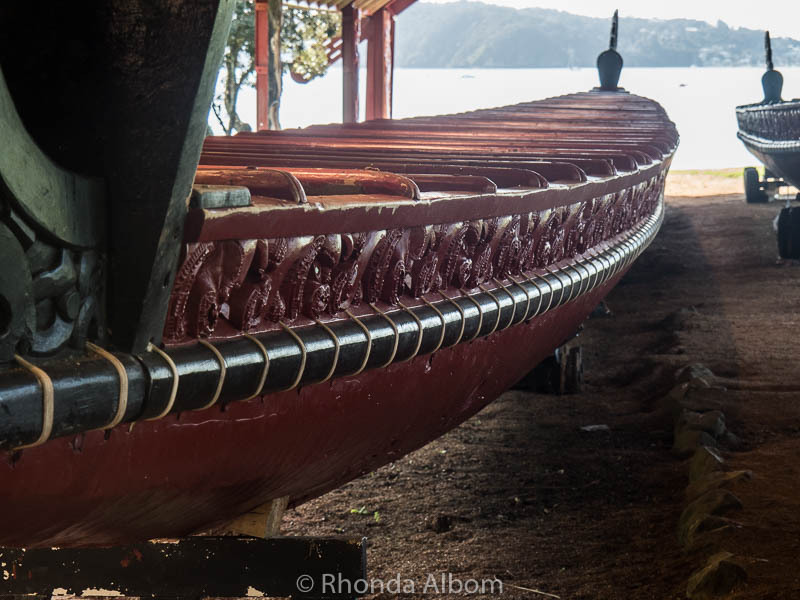 The first shot is my own; the others were taken by top travel bloggers. 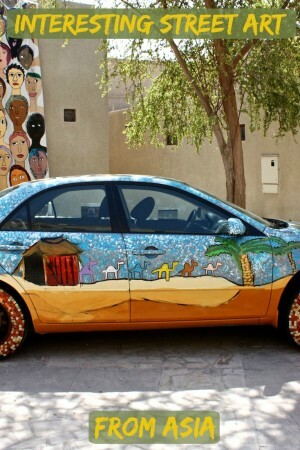 This car made an unusual canvas for street art in historical Bastakiya in Dubai. I took this shot a few years ago and wonder if this car is still there. See more at Bastakiya and the Old Souqs in Dubai. 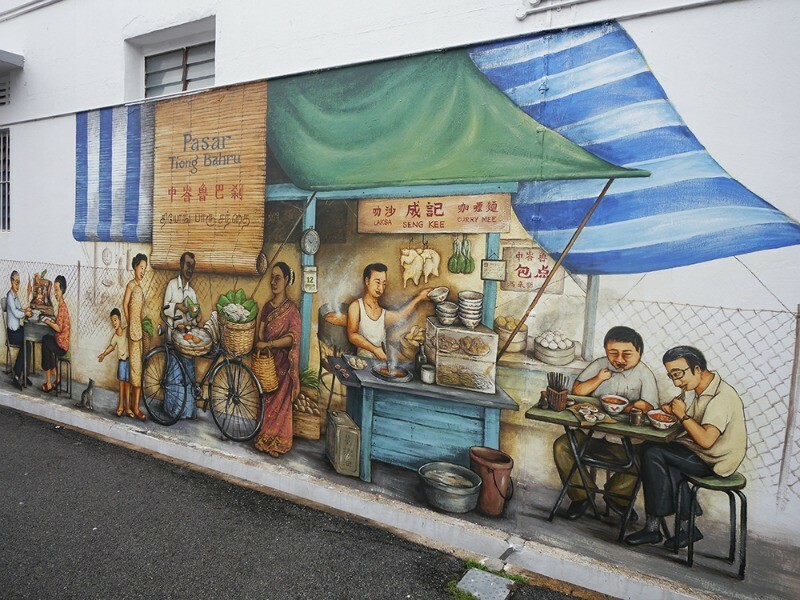 The famous ‘I Want Pau’ kids of George Town are probably gracing many a family album and Instagram account as they are as iconic as they come when it comes to Penang’s street art. But this arty gem has a bit of family history. In fact, these two cheeky kids grace the outer wall of the Ming Xiang Tai Pastry Shop on Armenian Street. 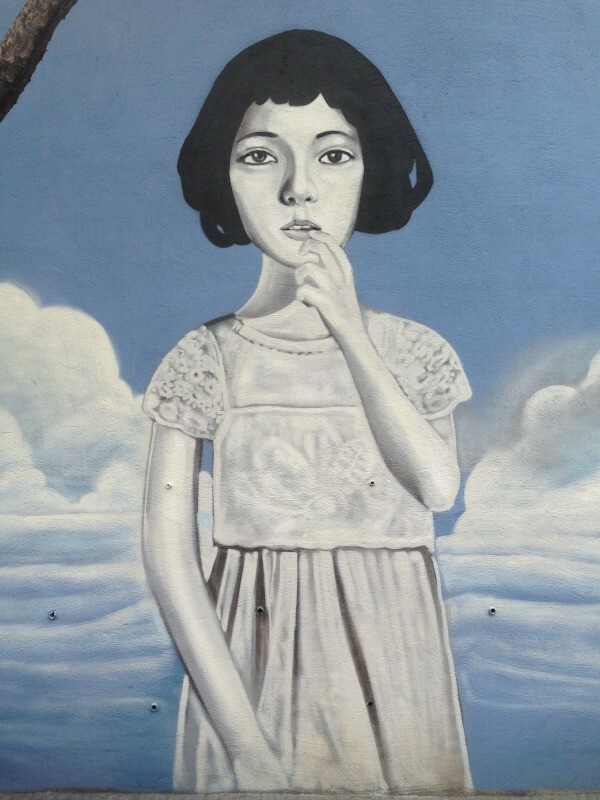 The children are the son and daughter of the pastry shop’s owner and the mural was painted by family friend WK Setor, who named the painting ‘Childhood’. 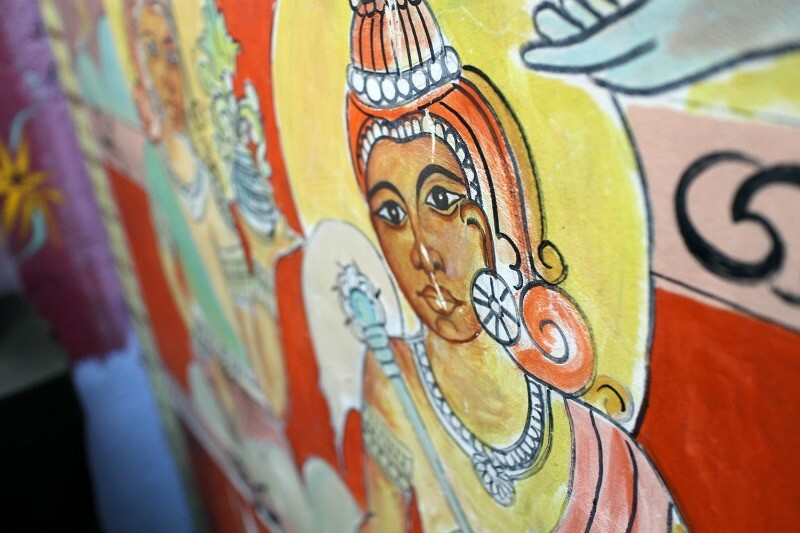 The mural was completed on Chinese New Year, 2014 and is more commonly referred to as the ‘I Want Pau’ Mural. Photo contributed by Vanessa Workman of The Island Drum. Seoul is such a great city for contemporary art. The Bukchon neighbourhood, located just beside the traditional Hanok Village is full of little galleries, creative spaces and street art. This huge mural was particularly impressive. The colours are gorgeous, and the girl’s gaze is fierce yet soft. Photo contributed by Catherine Benoit of The Go Fever. We found this amazing street art in Seremban, a small town in Malaysia that is forgotten by the tourists. We love it! It shows the cultural diversity of this country. Malay Muslim girl, Hindu boy and Chinese immigrants, sitting together on the magic carpet and having fun. One painting show more than thousand words. Love, tolerance and acceptance are the clues to happiness not only in Malaysia but in any other country in the world. Photo contributed by Karolina of Karolina and Patryk. Photo contributed by Shyr Gelber, a traveller and co-founder of Forty Thieves, the fantastic nut butter company we sampled at the Food Show. 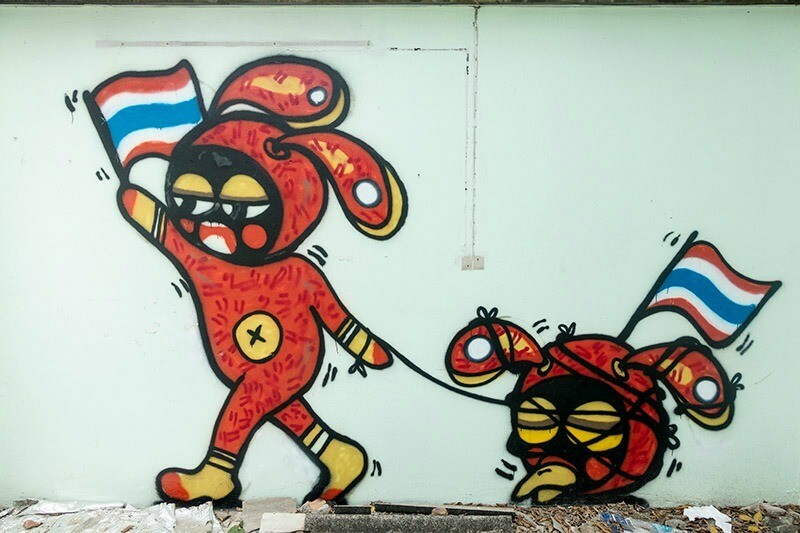 There is a deluge of street art scattered throughout Chiang Mai, Thailand. 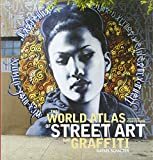 I am a huge fan of street art and have been tracking it down all over the globe. Photo contributed by Matthew of Travelationship. 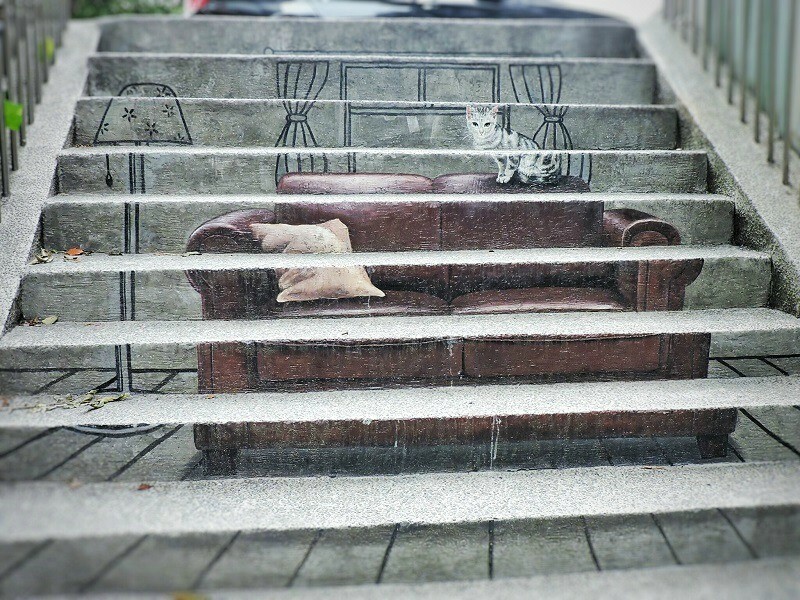 Street art in Taipei, Taiwan is taken to a new level. While often subtle and unobtrusive, it can be seen in many forms, on many surfaces, throughout the city. From walls to electrical boxes, even on steps, the city truly is a canvass on which artists may ply their trade. Photo contributed by Carolann & Macrae of One Modern Couple. Another example in Taiwan, this one painted by Alex Face. Another photo contributed by Shyr Gelber of Forty Thieves. Photo contributed by Mar Pages of Once in a Lifetime Journey. 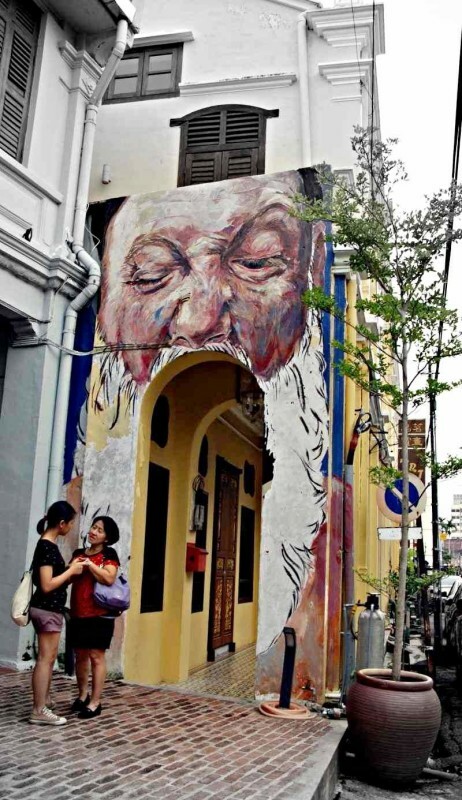 Mural “Big mouth” or “The bearded face” was painted by British artist Gabriel Pitcher in conjunction with the “Different Strokes” street art festival in Penang. You can find it in Muntri Street (beside Ryokan Muntri Boutique hostel), George Town, Penang island, Malaysia. Photo contributed by Ria of Life in Big Tent. 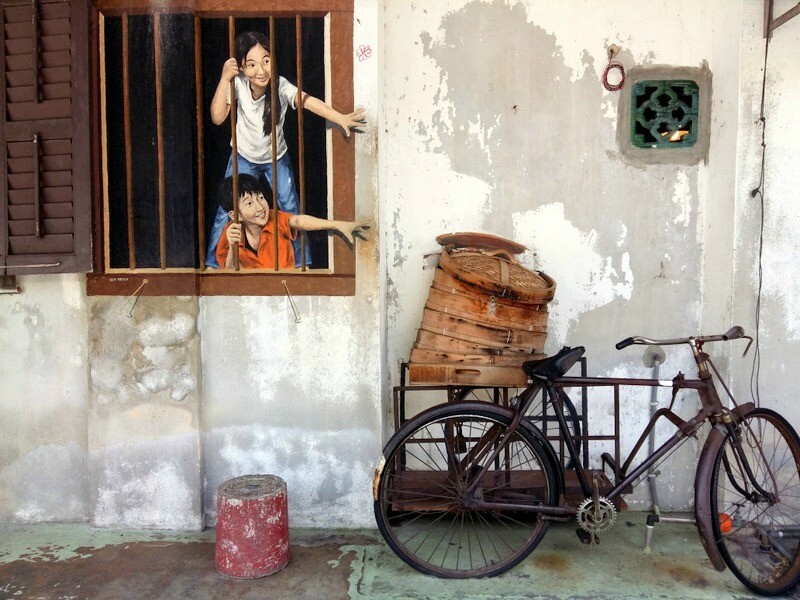 See more at: Disappearing and resurgent street art in Penang. Boeung Kak, the former lakeside area in Phnom Penh, was once a hub of activity for locals and travellers. The government sold off the land in 2007, and tragically the lake was filled in, destroying the natural beauty of the area. Hundreds of local families were displaced and thousands of people, who depended on income from fishing in the lake and who owned businesses in the area, were out of work. In the past few years, Boeung Kak has transformed into a thriving art scene, with local artists, expats and visitors looking to beautify the neighbourhoods and create opportunities and outlets for youth and the arts in the city. 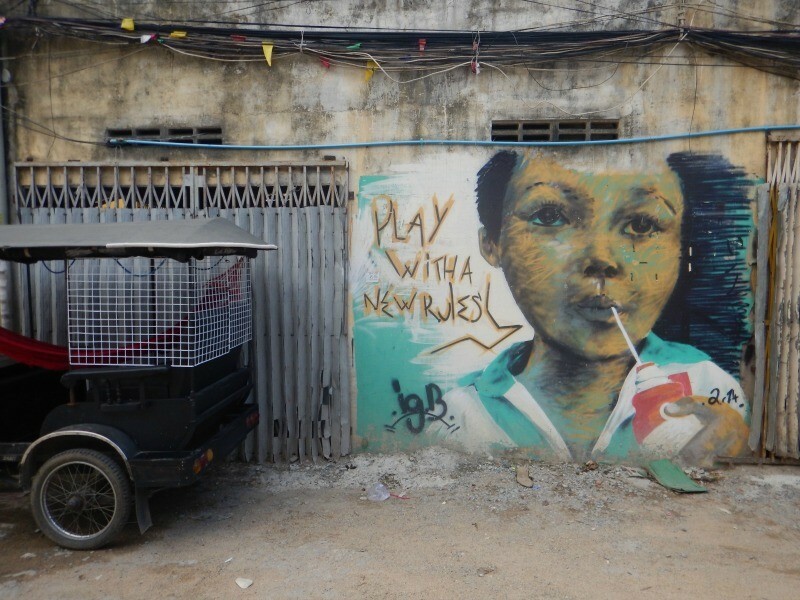 It is well worth visiting the area to see the unique, constantly changing street art, and to glimpse a side of Phnom Penh few travellers experience. Of the five collections, this is the one I found most intriguing. 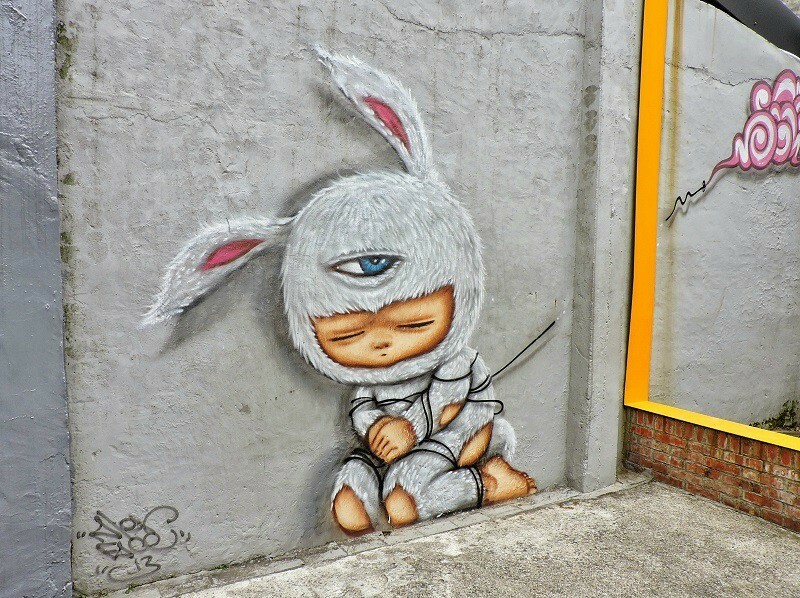 How about you, were you surprised by these examples of the street art of Asia? You’ve gotten me very excited to see the street art in this part of the world. 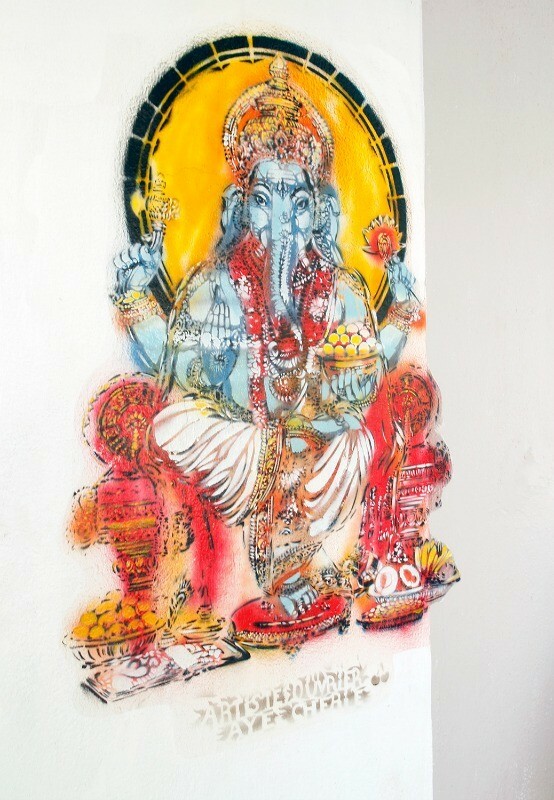 Have enjoyed finding street art on my sailing travels from Hawaii to Indonesia and recent arrived in Malaysia. Heading to Penang at the end of the month and will be on the look out for the two murals posted here. There is some amazing street art in Asia. 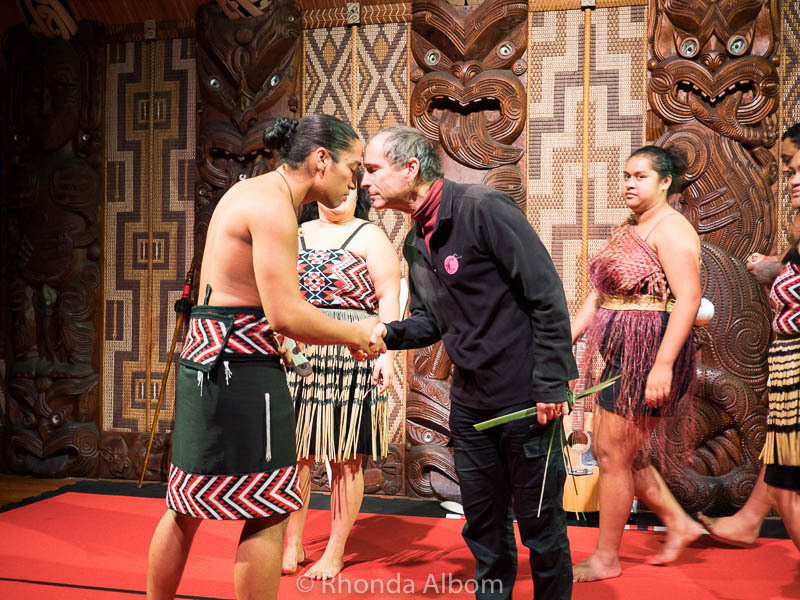 Bravo to all the contributors, what a wonderful collection of images. I was pretty pleased with it as well. If there was ever a doubt, your post has ended it: street art is a global phenomenon. I wish they were all my shots. Those photos are so cool and interesting. I love the one one the stairs. I would love to see the one on the stairs. Also, credit to the photographer on that one, as taken on a different angle it would have a different effect. You find the “coolest” stuff! I love all these. The big open mouth one and the car are my favs! Thanks Teresa, only I can only take credit for finding the car, the rest were found by other travel bloggers. Cool. I will be sure to check it out. I love street art. I was really impressed with the choices people made to contribute. This collection really makes me want to visit S.E.A. soon. Thank you so much for including our submission in your post. It’s a great list of some beautiful art. Actually, it is the street art that I keep seeing photos of that is attracting me to Penang. I have never been. LOL – I don’t think they drive that car, look at the tyres. I agree, it’s a pretty impressive collection. Thanks for participating. Wonderful collection. More to come I hope. This is the last in this series, but I have a few other interesting ideas for the future. That artwork is amazing. I love all of it. 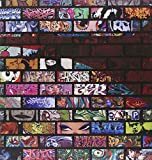 I am a huge fan of street art, and find this collection to be a bit different than the others around the world. What interesting murals! I had to look at some of them a couple times to realize what I thought was real was really painted. LOL – me too when they were submitted for the article. This is all that was submitted, and I have not yet been to Indonesia. They are all cool, but I like the car the best too. I am biased towards the car, as it is the only one I actually saw live. Such a variety. I wonder how many do a double take on those two kids, thinking they are real. And the steps with the couch is amazing. I know I did when I was first sent the photo. I love the cat on the couch one – and the car of course. 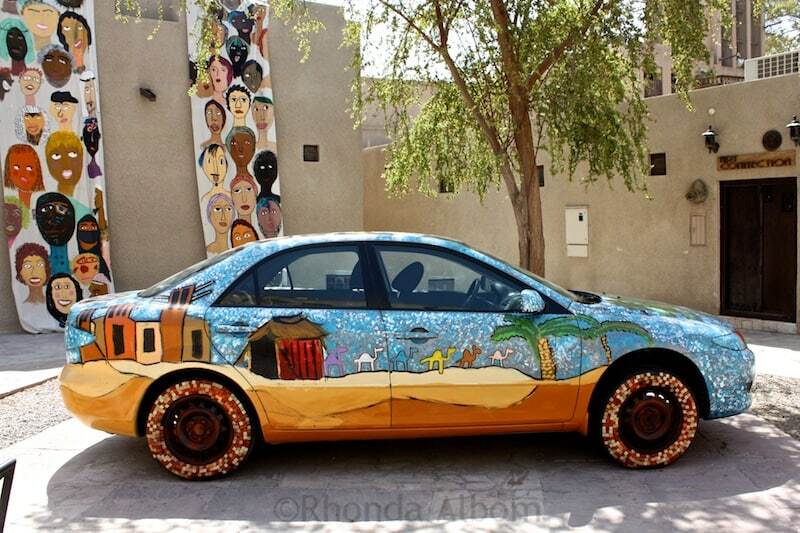 That car was a pretty cool find in Dubai, way out of character for the city. The stairs are just so cool. Very cool art work! I love the car and the couch on the stairs the best. I was pretty impressed when I saw that car in Dubai. That couch is awesome, I would love to see that some day myself. Wow, I love these photos! I love taking photos of street art myself and I must say, this is an impressive collection! Thanks for sharing! Thanks Kreete, there are so many wonderful travel bloggers with great eyes for spotting these things.